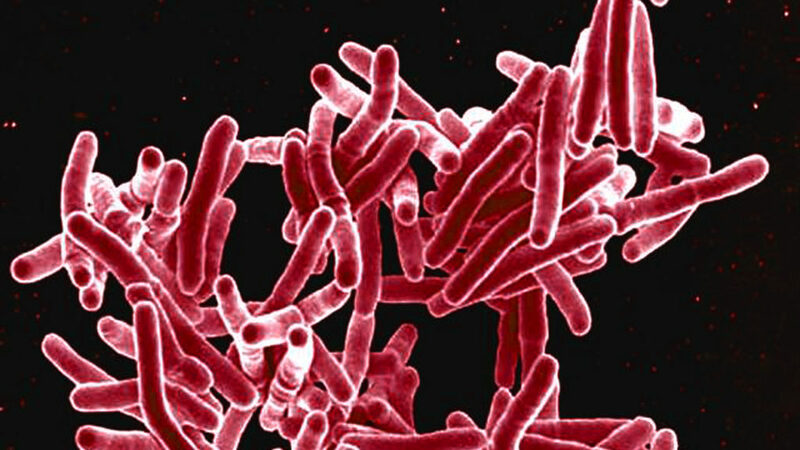 Tuberculosis is the leading infectious killer of adults worldwide. Despite over a century of research on the causative organism, Mycobacterium tuberculosis, we still have a very poor understanding of tuberculous infections. Our goal is to better understand the basic biology of this pathogen and to develop new therapeutic strategies. Our research focuses on three areas. We study the fundamental cell biology of the organism, including central processes such as cell wall metabolism, cell growth and translation. We also investigate antibiotics – how they work and how we can make new ones. Finally, we build the tools to study mycobacteria both in vitro and during infection. 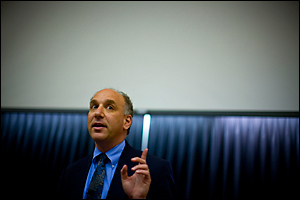 "OK, smell this," says Jeff Wagner, a Harvard postdoc of immunology and infectious disease. He's pointing to the two flasks of bacteria in front of me. I breathe cautiously from the first vial of yellowish broth. Nothing. "Now this one," he says, with an identical looking sample. And I'm hit with it: a distinct mint aroma like someone melted down a pack of breath mints. Recent studies by the Rubin Lab reveal a genetic determinant of single-cell phenotypic heterogeneity, which may have implications for strategies to shorten the course of therapy. In this photo, a strain where this gene (lamA) has been deleted is shown alongside wild-type mycobacteria, after addition of the drug vancomycin. Green-fluorescent cells turn red upon cell death due to presence of propidium iodide, revealing the difference in survival of the strains in the face of drug treatment. Staff photo Justin Ide/Harvard News Office. We are fortunate to be part of a vibrant TB research community, both within Boston and internationally. We value participation in meetings and symposia for the opportunities to share data and build collaborations. As with every emerging infection, the Zika epidemic is forcing scientists to rethink their assumptions about human biology.